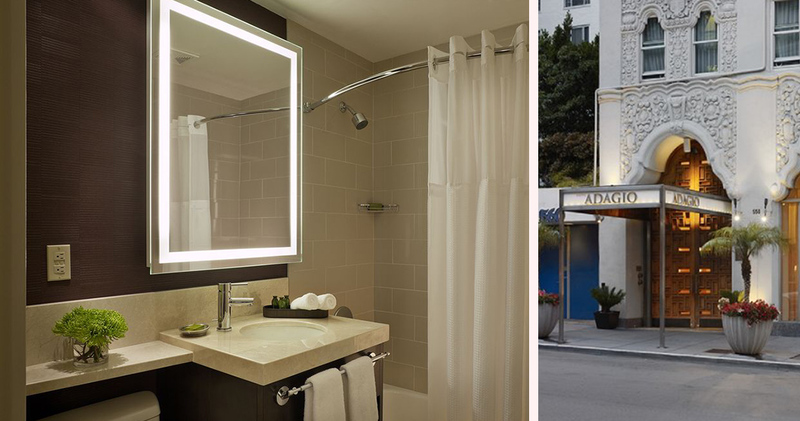 Hotel Adagio is a luxury boutique hotel that is timelessly elegant, casual and chic in the Lower Nob Hill area near Union Square. Hotel Adagio is located in the Lower Nob Hill, close to attractions like the American Conservatory Theater and the Museum of Modern Art. 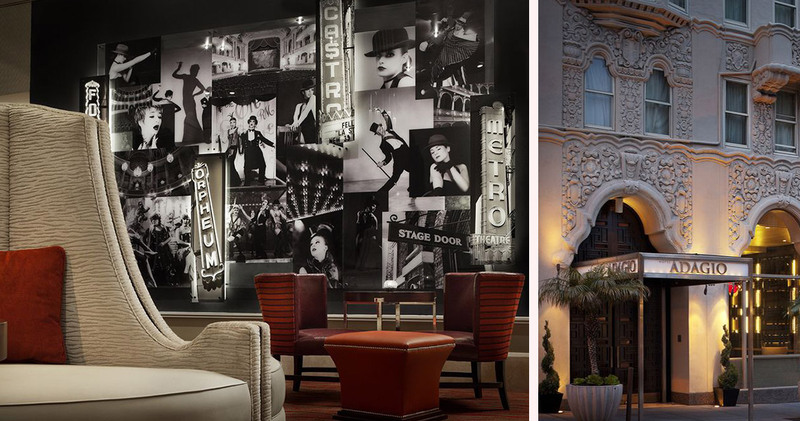 This elegant hotel is housed in a landmark building dating back to 1927. The building was designed by Douglas D. Stone and is considered one of the finest Spanish Colonial Revival buildings in San Francisco. 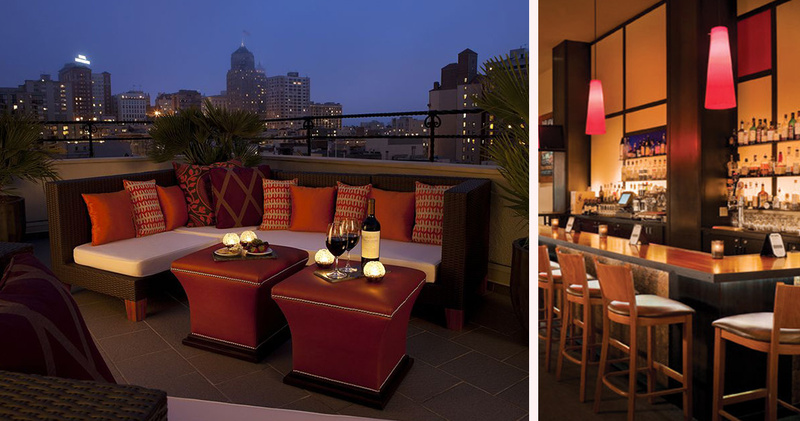 Adagio Hotel San Francisco has a timelessly classic style with an urban edge. 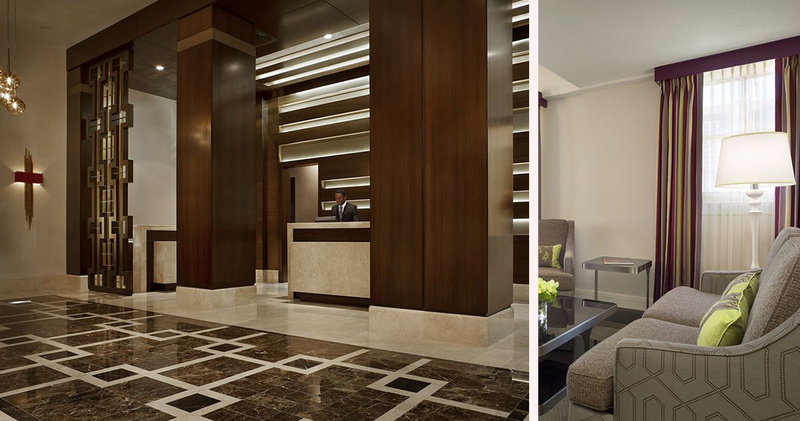 The lobby of the hotel is open and wide with high ceilings, marble flooring and hardwood finishes. The hotel was awarded the Certificate of Excellence by TripAdvisor for 2015. 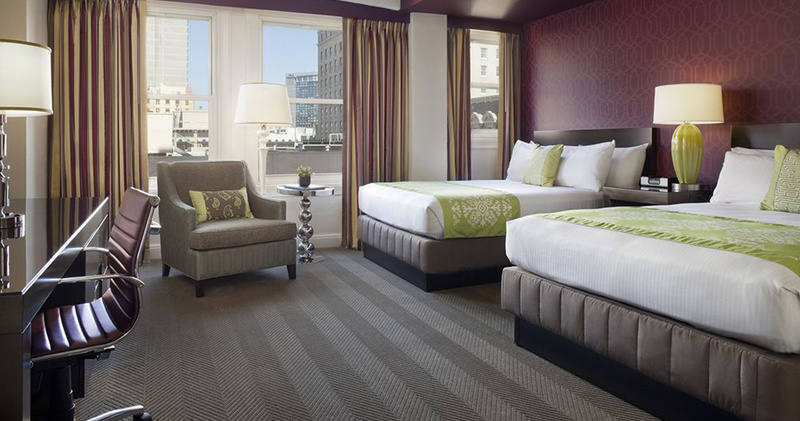 The guestrooms at Hotel Adagio are spacious, contemporary and cool. 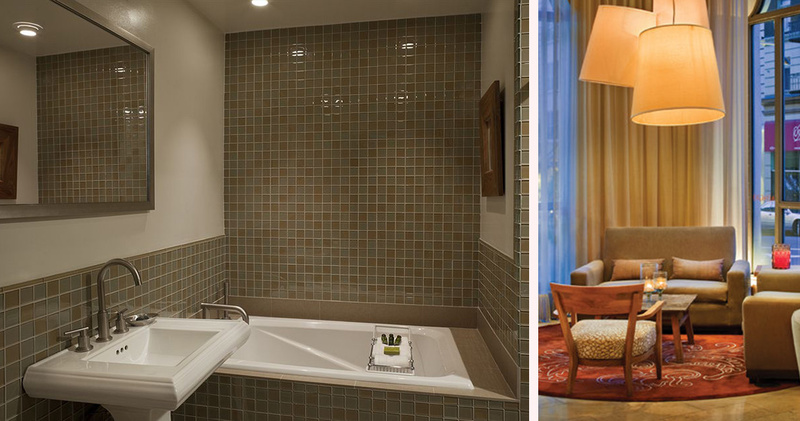 The rooms are designed to be modern and sophisticated with luxurious wood finishes and vibrant splashes of fun colors. Furniture includes a spacious work desk, ergonomic chair and a plush armchair. Beds are comfortable and inviting with luxe cotton linens. 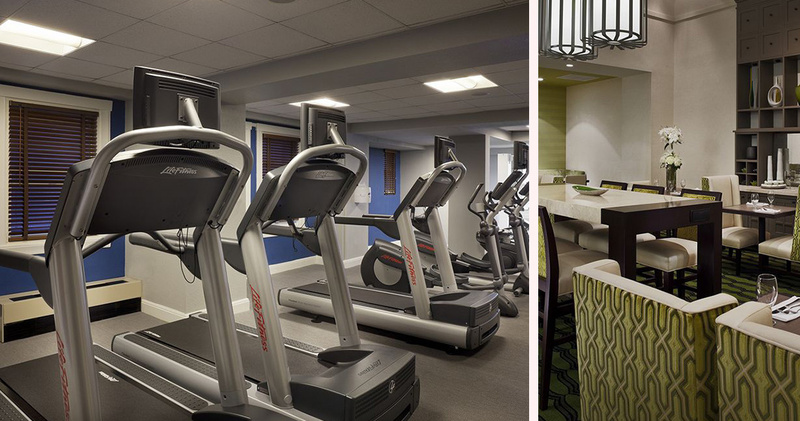 For entertainment, the rooms feature 49-inch HDTV, premium sound and docking station. 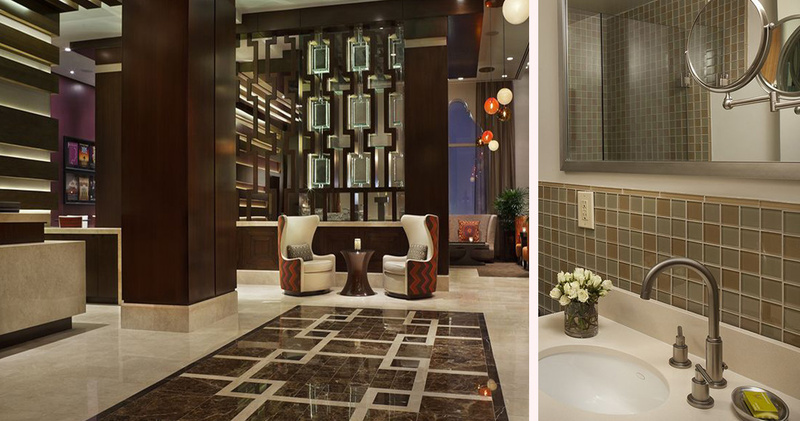 The bathrooms are modern and stylish with a fully lighted vanity. Bath amenities by C.O. Bigelow are green-certified and luxurious. The Green Room at Hotel Adagio is an airy, open restaurant with a casual feel. The restaurant is open for breakfast and serves classic favorites made with farm-to-table ingredients. Located just off the lobby is The Mortimer Bar. 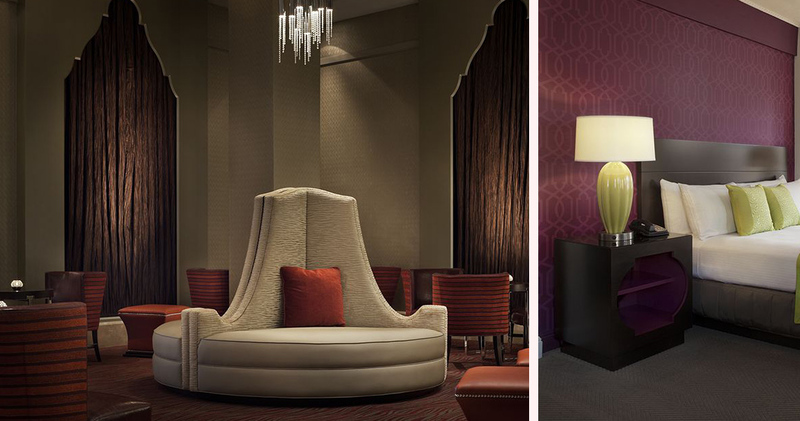 This chic, sophisticated cocktail lounge has a social setting with a large bar area, hardwood finishes and bright colors. The bar serves local beer, craft cocktails and small plates.